Internet What Is the Difference Between LTE And VoLTE? Many times we have heard about the words like 2G, 3G, 3.5G, 4G, GPRS, HSUPA, EDGE, HDSPA, LTE, and VoLTE. So, if you do not know what exactly they mean, then don’t worry about that, as today here we will simply explain it to you so that you can simply get a clear view about all these words. 1 What Is the Difference Between LTE And VoLTE? We all know very well that many times we have heard about the words like 2G, 3G, 3.5G, 4G, GPRS, HSUPA, EDGE, HDSPA, LTE, and VoLTE. So, if you do not know what exactly they mean, we will simply explain it to you so that you can simply get a clear view. Basically, all these simply represent the technology of the network that is being used at that time for the connection to the Internet of your mobile phone. Hence, today we will discuss about the differences between VoLTE and LTE. Now let’s know about LTE, so, basically, LTE is also known as “Long-term evolution” which is a standard for high-speed mobile data communication systems that are actually based on its forerunners networks, of course, I am talking about the old runners, UMTS and HSPA. As LTE is an important achievement over the high-performance mobile data service that simply uses a different radio interface along with a slight update. So, basically, it is the next level of mobile communications technology (4G) which is actually developed and implemented by the 3rd Generation Partnership Project, of course, I am talking about none other than 3GPP which is a collaboration between groups of telecommunications standards associations. The Long-term evolution, of course, I am talking about LTE which is an exceptional upgrade over the old 2G and 3G standard that simply provides an exceptional user experience for long-term dependability. 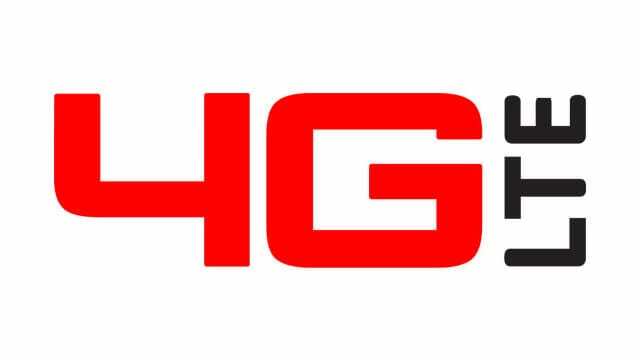 Hence, simply due to the next generation connectivity and important improvements over the original 3G standard for a more obvious architecture, the ITU Radiocommunication Sector simply decided to officially call it 4G LTE. Basically, the main idea is to use a different radio interface since the LTE wireless interface was not compatible with the 2G and 3G standards. Hence, a simplified network architecture was required that could dramatically reduce the transfer latency and use some elements of the 3G standard. That’s why due to its efficiency the next-gen network, of course, 4G LTE gives us more efficient results and provides much higher data speed compared to the 3G standard as well. Moreover, the 4G LTE standard is an IP-based packet switched network that has support for both the well-known Internet Protocol, of course, IPv4 and IPv6 protocol. While the 4G LTE is based on OFDMA that simply allow higher data bandwidths. In the world of smartphone and telecommunication, practically there is nothing that we know has been developed overnight. 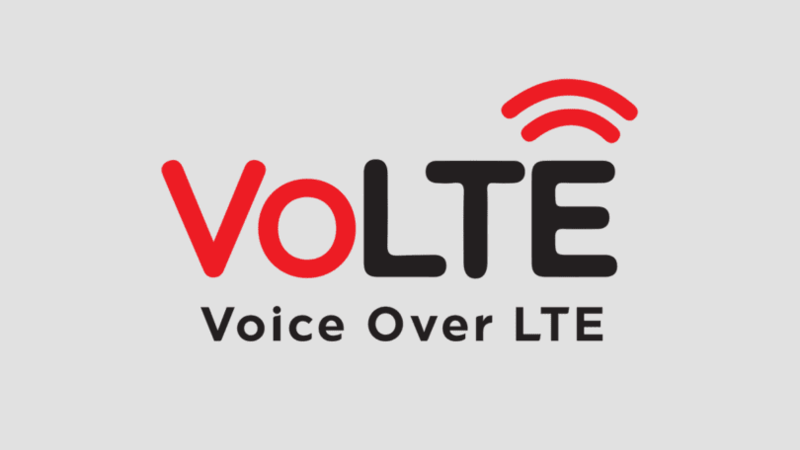 As already in 2013, VoLTE which is also known as Voice Over LTE began to be talked about in the MWC of that year, reaching its first implementation in Singapore in a limited way, and then just a year later it has been distributed to further countries in 2014. Hence, little by little, with the extension of 4G networks across the globe, this technology has been seen with better eyes, seeing itself as a real alternative to replace the current GSM and UMTS networks used to transmit voice communications between mobile phones. As the Voice over LTE (VoLTE) uses these 4G networks simply to send compressed data packets, providing an internet-based communication that opens a range of possibilities to users. Hence, it is a very standardized system to make HD voice calls which is far more efficient and faster than the old well-known standards, of course, 2G and 3G networks. 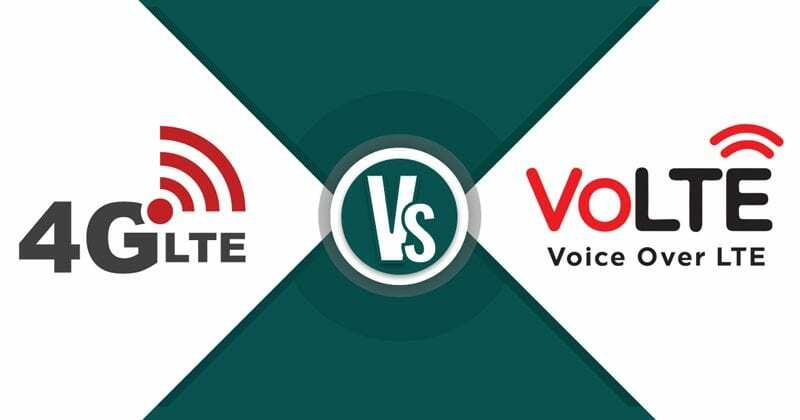 So, basically, the VoLTE, of course, voice over LTE is an advanced mobile data communication technology that simply allows users to send voice and data through the 4G LTE band without limiting the quality of the voice. As in LTE, the voice quality simply gets reduced by making voice calls with the data connection activated, which simply force to turn off the mobile data simply to enjoy a better voice call quality. However, some networks automatically stop the data transfer process simply to maintain the voice quality in the well-known old networks, of course, I am talking about none other than the 2G 3G network. So, that the mobile data will not create any conflict with the voice call service in the case of VoLTE and allows to make uninterrupted voice call even with the data connection activated, unlike the LTE. Moreover, the well-known and the most current mobile network standard, of course, I am talking about none other than VoLTE does not switch between network frequencies, which makes call routing much faster than the network with the standard like the 3G voice calls. It also allows for better connectivity between networks, which ultimately requires a lot of balance in urgent situations when the network gets overloaded. In 3G networks, it takes about 7 seconds simply to connect a call, while the connection time gets significantly decreased if both users are connected to 3G networks through VoLTE. External software is required to make video calls on LTE networks. But, in VoLTE based networks we simply do not need any external software to make video and HD calls. LTE does not support voice and data services at the same time without affecting the quality of the voice, but it simply allow a faster configuration of the voice call. In LTE, the network simply disconnect the data connection while making voice calls as we mentioned earlier, but in VoLTE there is no need to disconnect the data connection while making a voice calls. As LTE is basically designed to increase data rates in the 4G bandwidth, but, VoLTE is simply designed for both voice calls and Internet data. In LTE the internet data must be enabled at all times simply to make free calls and cannot be deactivated. But, in voice over LTE, of course, VoLTE we do not have to keep the internet data activated to make free calls, so, isn’t good enough to beat the old LTE. That’s it, as we think this is enough info and explanation to make anyone understand about LTE and VoLTE, so, hope you guys have now understood all the key differences between them. So, what do you think about this? Simply share all your views and thoughts in the comment section below. What will follow after the so called pre 5g volte/Lte should we focus on super technology in another two years to go.